We offer Stationary Oil Filtration with Unit 500 lpm and filtration rating of 20, 10, 6 and 3 microns. We are offering Oil Filter Machine to our client. No. Of cartridges in a package: 3 nos. Minimac offers trolley mounted portable Thermic Oil Filtration Systems which can clean almost all industrial oils to super-clean levels NAS 4 even from dirtiness levels of NAS 99. Another prime advantage with these machines is that low vacuum dehydration attachment is in-built for fast removal of moisture / water from the oil. 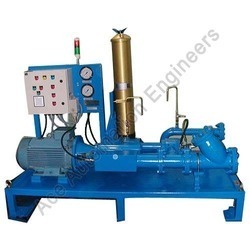 We are leading manufacturer and supplier of Lube Oil Filteration Machine and we entertain buyers from all over India . Bulk quantity orders are mainly preferred . Fine Centrifuges clean oil by generating centrifugal force 2, 000 times greater than gravity. This force separates solid contaminant from the oil and keeps the oil clean. 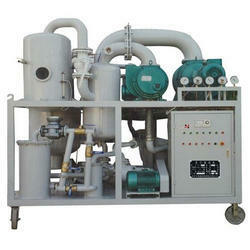 We offer oil filtration unit which is made with advanced technology. It finds its application in filtration of Hydraulic oil, Gear Box oil, Transmission Oil. Diesel and Lubricating oils.